Oh my, is this a cookie you need to try! 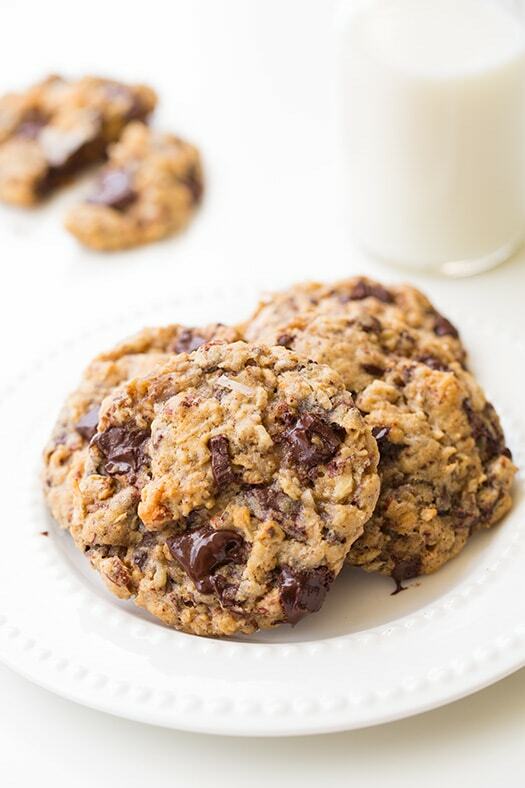 These decadent cookies are like getting four different kinds of cookies all in one. 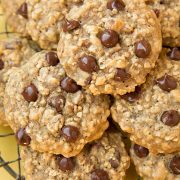 They aren’t just your everyday chocolate chip cookie, these things have oatmeal, coconut, almonds and chocolate chunks. 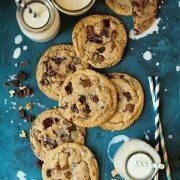 And those ingredients not only make these deliciously flavorful and completely irresistible, but they give these cookies such an amazing texture. Trust me, you’re cookie recipe book definitely needs this one added. Sometime I’d like to try them with white chocolate chips (instead of dark) and macadamia nuts (instead of almonds). They are perfect as they are but it’s always nice to have a few options, right? 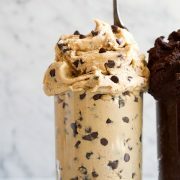 With a combination like this, who could resist them? 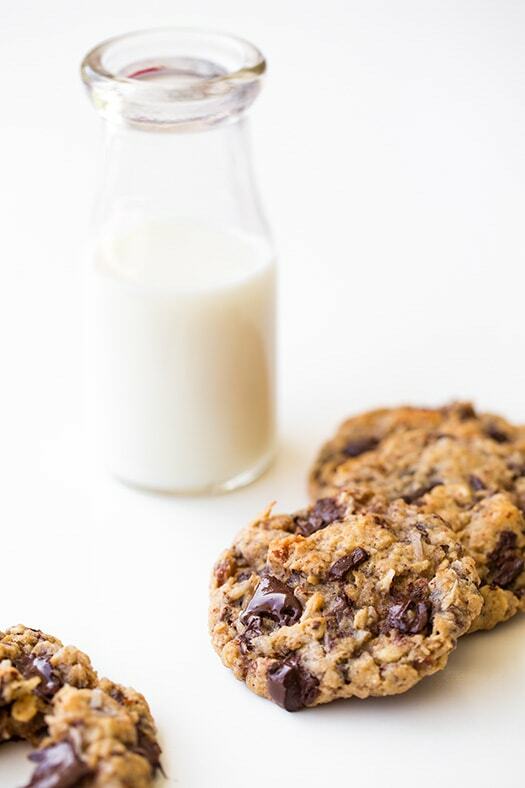 They are a cookie made to please a crowd. 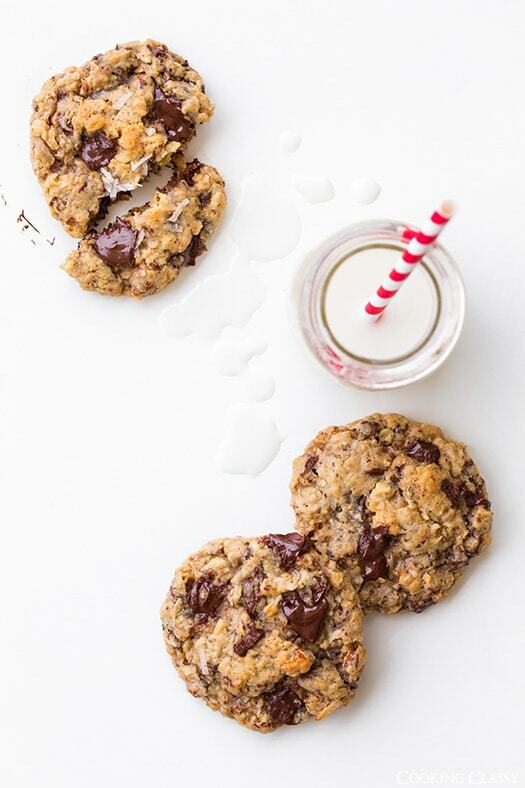 You'll love all the goodness in these cookies! 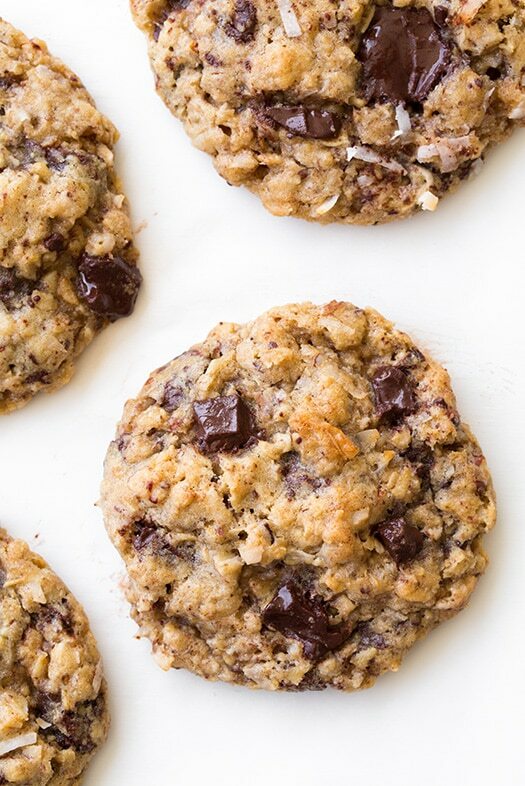 They're chewy, chocolatey and filled with coconut and almond flavor. Preheat oven to 350 degrees. In a mixing bowl, whisk together flour, baking soda and salt for 20 seconds, set aside. In the bowl of an electric stand mixer, fitted with the paddle attachment, cream together butter, brown sugar and granulated sugar until well blended (not pale and fluffy, just until creamy). Mix in eggs one at a time. Stir in milk, vanilla and coconut extract. 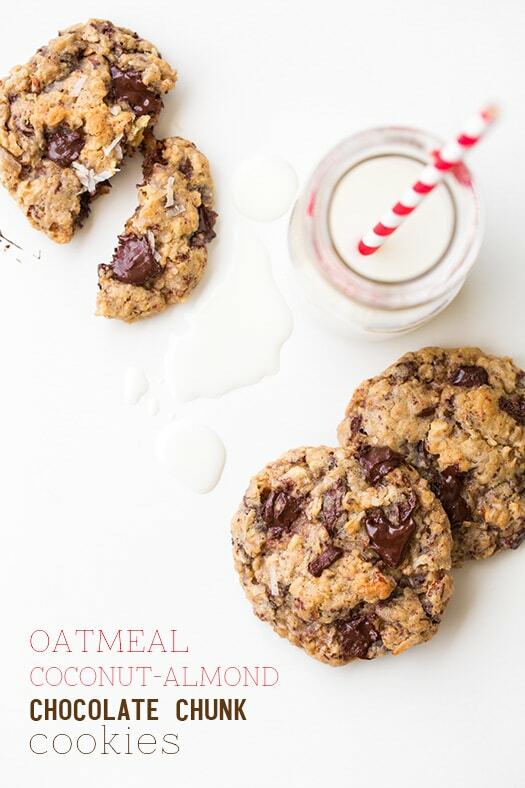 Blend in dry ingredients then blend in oats. Mix in chocolate chunks, coconut and almonds (chocolate dust from chopping included, don't waste chocolate. 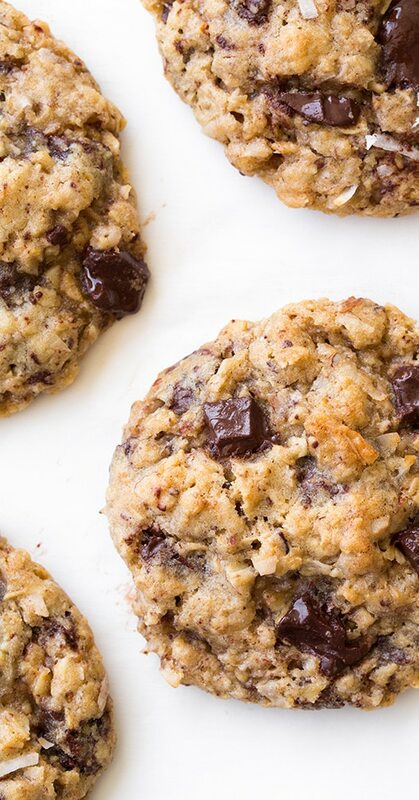 Also, if you want some chocolate chunks to show through, set aside about 1/4 of them to press into tops of cookies after shaping into balls). Shape dough into medium size balls (I did 50 grams each or a little over 3 Tbsp) and transfer to parchment paper or Silpat lined baking sheets, spacing each 2-inches apart. Bake in preheated oven 11 - 13 minutes. Allow to cool on baking sheet several minutes, then transfer to a wire rack to cool. Store in an airtight container at room temperature.